It’s always best to be prepared for just about anything when you’re on a road trip with your family. We recommend you always carry the following items in your car, especially if you’re planning a long road trip. Winter clothing – gloves, a hat, boots, etc. Also make sure your spare tire has air and your jack is in good working order. Of course, the first thing to remember is to slow down, you shouldn’t attempt to drive the same speeds you would on clear pavement. Allow plenty of space to stop. Brake slowly, if you start to slide, ease off brakes. If you have standard brakes, pump gently. If you have anti-lock brakes, apply steady pressure while the brakes pulse. If your rear wheels skid, take your foot off the accelerator. 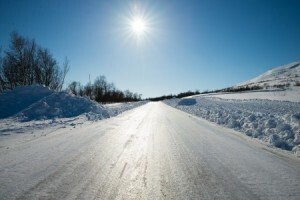 Do not use cruise control on icy roads. Remember that ice forms first on bridges and overpasses, also be extra careful in shady and low traveled areas. If possible, use sand, kitty litter or salt to gain traction under your wheels. When you attempt to pull out, accelerate gently, do not spin your wheels. If you hit a deer, you should first call 911 and report it to have a police officer determine your damages. 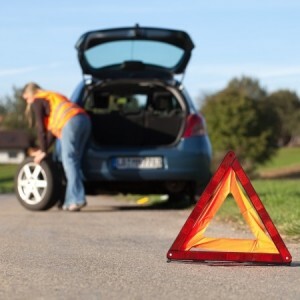 Aitkin Body Shop can tow your vehicle to our shop and work with your insurance company to get your vehicle repaired. 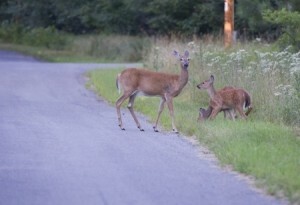 A deer hit should be covered under your comprehensive insurance policy.